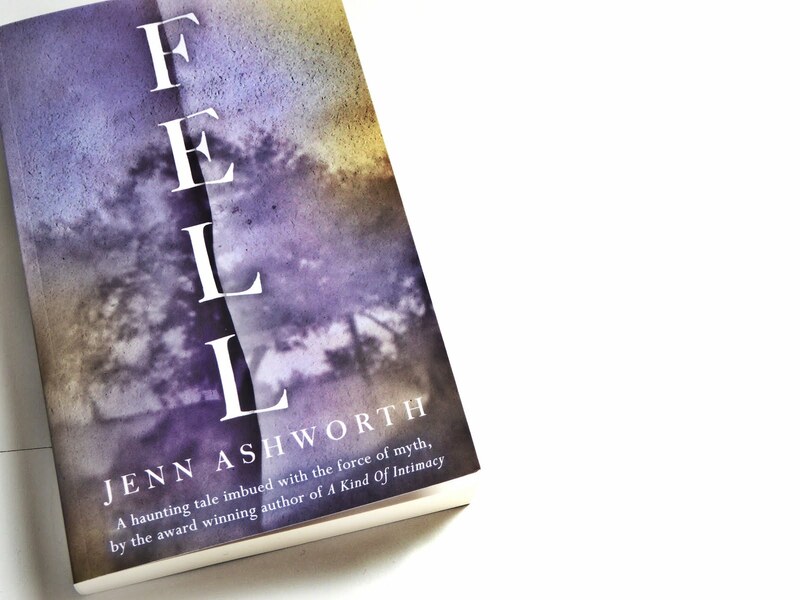 I’m absolutely OVER THE MOON to be taking put in my first ever Blog Tour today, for Fell by Jenn Ashworth. Fell is published by Sceptre books and was released this week, on the 14th July 2016. I’ve never read anything by Jenn before, but I definitely think that I’ll be latching onto her back category as soon as the time allows it. When I was approached about being a part of this book tour, I was a little bit unsure about it all, as the book certainly falls into a category which is ever so slightly out of my comfort zone. I’m not big on the supernatural aspect of fiction- whether that be in television or literature- but reading is one of those hobbies which allows you to challenge yourself intellectually and spiritually, so I decided that not giving this book a go would be an insult to its purpose. It did take me a little time to get use to the writing style, but by the end I was in awe with what Ashworth does with her words- her use of metaphors, descriptive language and execution was absolutely sublime and I honestly felt myself clearly imagining the run-down house with its overgrown Sycamore trees that Annette returns to at the start of the novel. I enjoyed the shifting of time throughout as I do believe that that added to the eeriness of it all; I’m not sure whether I’ve been converted over to reading around the supernatural, but I can definitely say that I’ve been converted into reading the supernatural according to Jenn Ashworth. Her writing is incredibly accomplished, to say the least. The story itself is set around the premise of Annette’s return to her parent’s house- an old and neglected house, Annette wants urgently to sell the house and return to her own business. Her parents, on the other hand, dead a number of years, have a completely different idea. Annette’s presence in the old house rouses their spirits and the need to watch over their daughter and ensure her protection and happiness becomes staple. The book delves into the past and the illness which Netty suffered through are discussed and delved further into. These scenes struck me as being particularly well written and had almost an edge of sadness attached to them- I was definitely moved by what I read and as far as I’m concerned, those are the workings of a good piece of literature. The perspective shifting to that of the deceased was an interesting addition to the plot- I particularly found it interesting that the ghosts could hear the thoughts of people entering the house even if they chose not to voice those thoughts out loud, and it is this perspective which gives a certain je ne sais quoi to the novel. The story surrounding Timothy, one of the lodgers, was a particularly creepy and thought-provoking one. He is supposedly a healer -the couple decide that allowing him to stay as a lodger when they no longer have the means to do so will have benefit to Netty and her illness. Whether this is the case or not, I’ll leave to you to find out. Ooh, mystery! By the end of the novel, we’re none the wiser about the man’s intentions, nor what happened to him after leaving the house but it is this feeling of mystery which adds so much to an already mysterious and all-consuming tale. Naturally, Annette is pushed into the background of her own family- the tale deals with loss and abandonment, an abandonment which is undoubtedly replicated in the condition of the house which the family adored so very much. It is a story of regrets and all things passed. A story which looks at illness in a harrowing and often disturbing way and how illness not only effects the ill but the family of the ill as well. The reasons for the resentment that Annette shows so clearly at the start of the book aren’t explicitly stated, but the distinct lack of care from her parents over the course of Netty’s illness, and the exclusion that she felt from a family she wanted so much to be a part of seem to be good enough reasons to explain it in my view. I always find reviews concerning books like this difficult to produce- I want to express every last emotion and thought that I felt whilst reading, but then at the same time I want a future audience to appreciate and feel the joys that I myself have felt without spoiling the tale. It is honestly a book which you have to read yourself to properly appreciate. I loved the setting of the story- being from Lancashire myself (around an hour from Morecambe Bay) it was nice to read a story which wasn’t eternally based around London and the South of England and I felt that I connected a little more with the story because of this personal attachment. I’ll leave the rest up to you, the audience, and I hope that you add this one to your to-read lists! Thanks very much to Nikki Barrow for my ARC of the book.